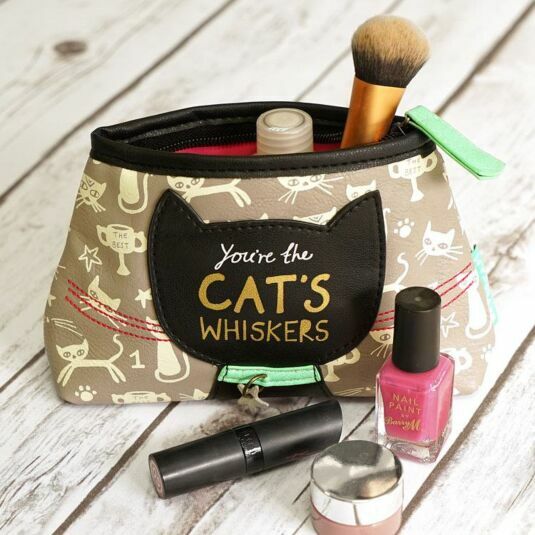 This adorable small make-up bag from the Daydream is sure to be the cat’s whiskers to you! The bag is made of a faux leather fabric; light grey in colour with black and green detailing it is certainly eye catching. 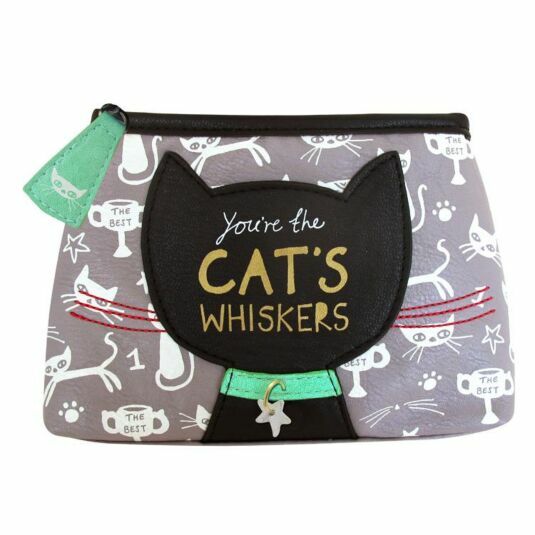 The bag has a black cat faux leather applique on the front which has the phrase 'You’re the Cat’s Whiskers’ written in white and gold decorative fonts. 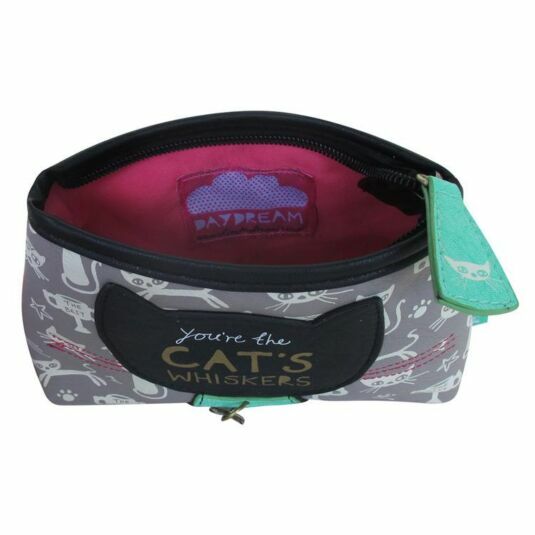 With stunning attention to detail the cat design also has a small green collar with a 3D collar charm and stitched pink whiskers which run to the edges of the bag. 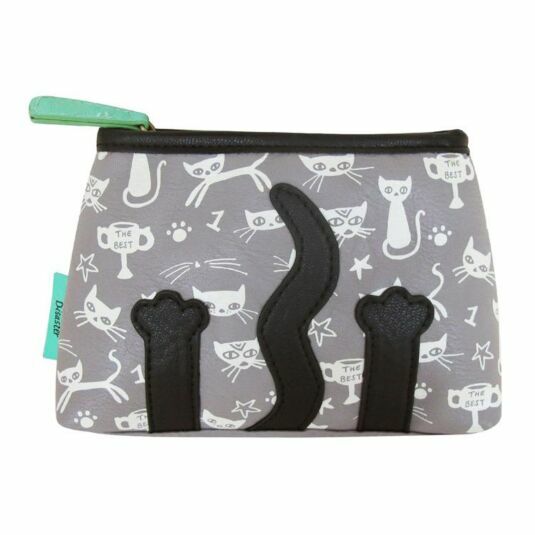 The bag is covered in cream cat doodles all over, and on the back there is black appliqued cat feet and tail. The bag is secured with a zip which has a green pull and the interior space inside is lined with a bright pink fabric. A perfect gift for any feline fans, of all ages, from teens to mothers and grandmothers.